Hey, did you know Barack Obama hates America? Thanks to Glenn Beck and Bill O’Reilly (who, until a couple of months ago, didn’t know what causes ocean tides) you probably did know that bit of information already. But do you know why Obama hates America? 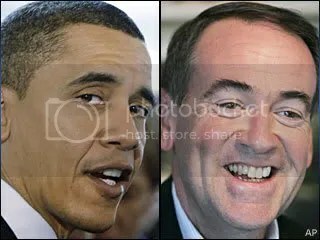 Well, according to Mike Huckabee, former governor of Arkansas and current Fox News Channel talking head, “Barack Obama’s childhood in Kenya during the Mau Mau Revolution made him hate America.” Huckabee further explained that the average (white) American “grew up going to Boy Scout meetings” and lived in communities “filled with Rotary Clubs, not madrassas.” Given the fact that Huckabee intends to be a relevant figure in the 2012 election, I expect this sort of politics-as-usual mudslinging. It’s never too early to start taking shots at your enemies in Washington, right? But what did Natalie Portman ever do or say to Mike Huckabee to get on his bad side?